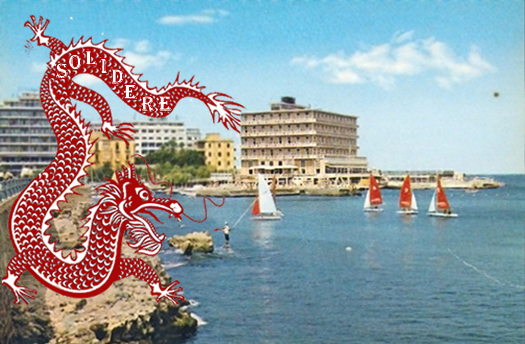 The Saint-George Hotel is located on Saint George’s Bay, named after the legendary hero who slew the dragon terrorizing its shores. Today the bay and its inhabitants are under renewed attack from a hybrid corporate monster: Solidere; which – neither private nor public – is devouring public and peoples property to line the pockets of its backers. The giant development firm has driven all legal owners and leaseholders of property from the shores of Saint George’s Bay, leaving only the Saint-George Hotel fighting a ‘David and Goliath’ battle to stop Solidere’s long term plans to land fill the bay and build more highrises.